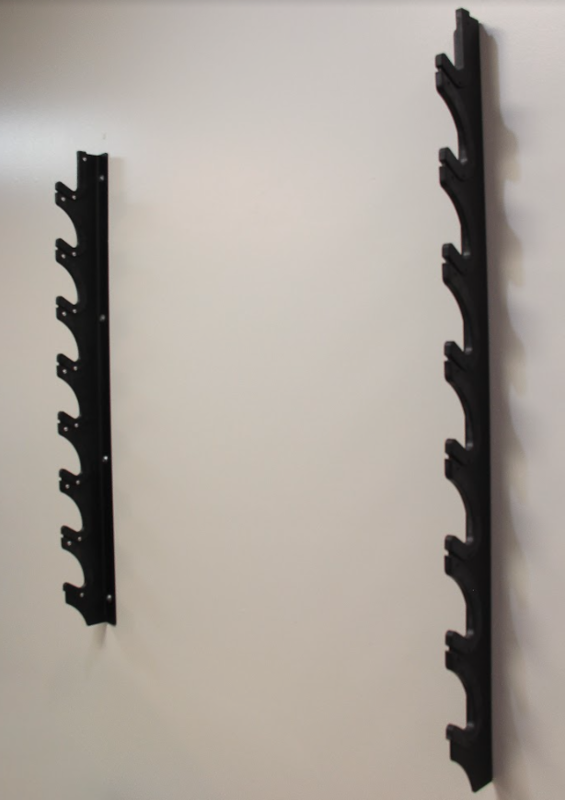 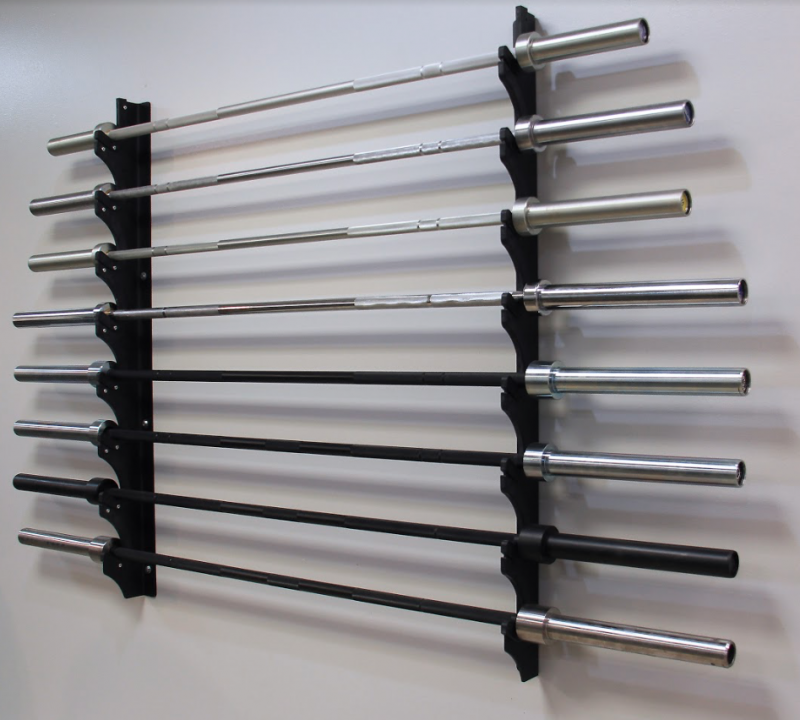 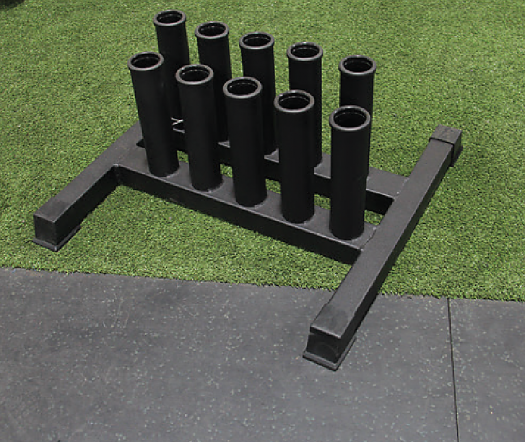 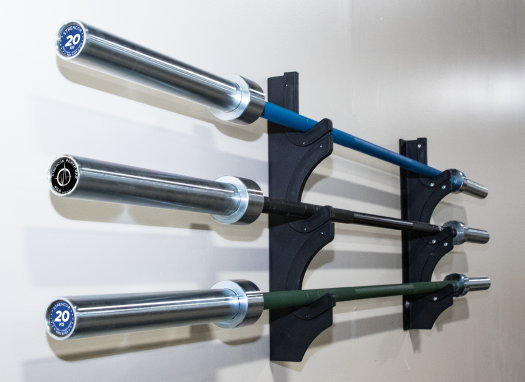 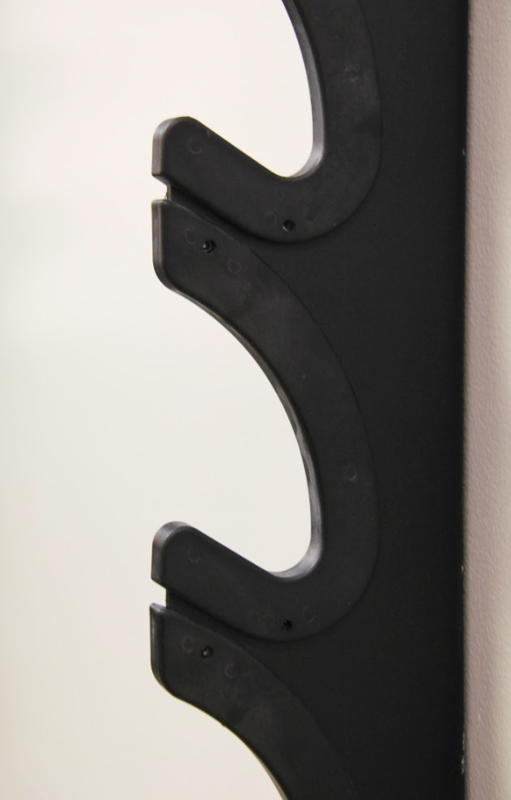 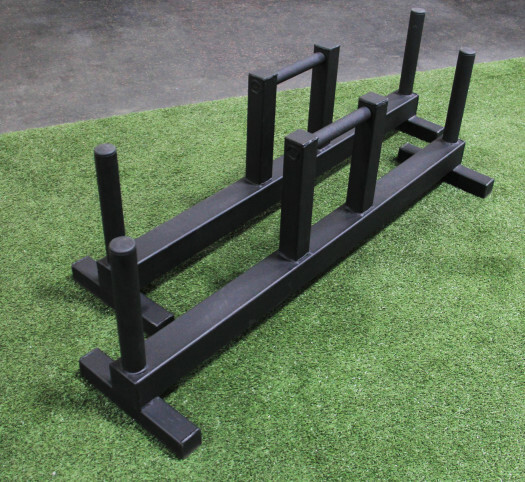 Wall Mounted Rack for barbell storage. 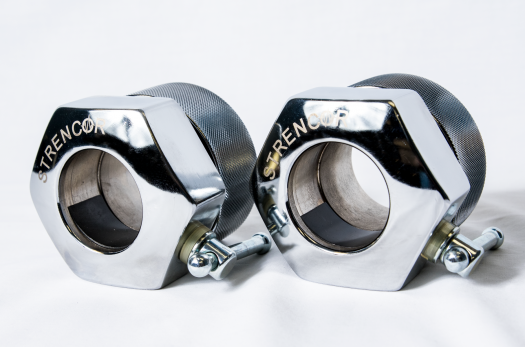 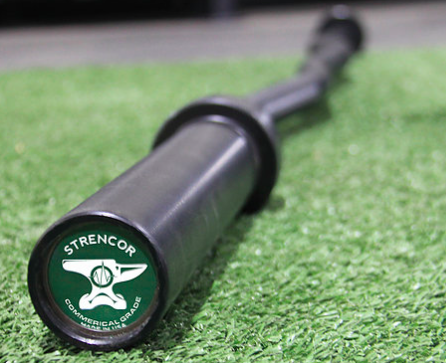 Protective composite liner protects barbell finish. 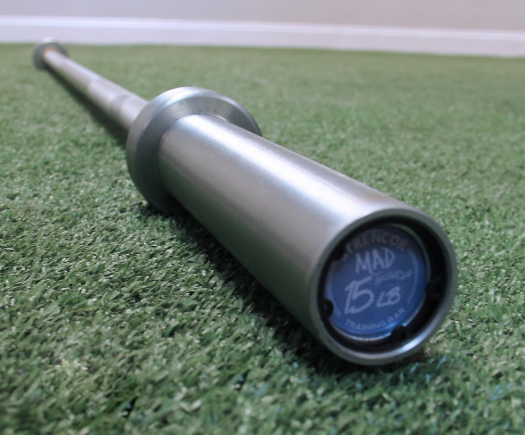 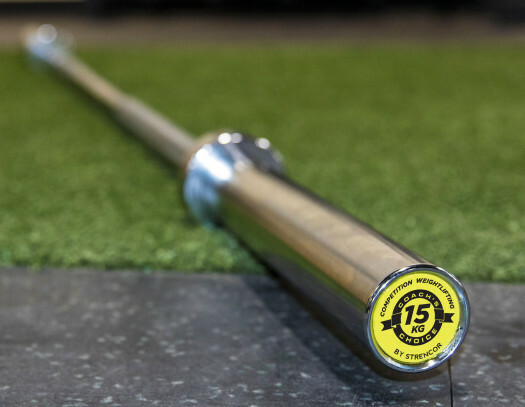 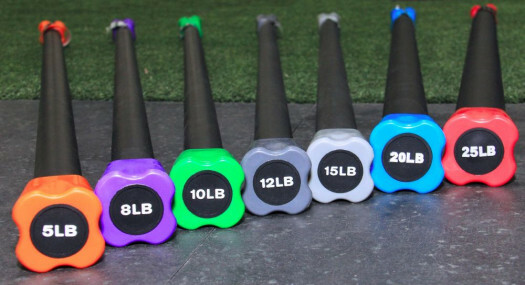 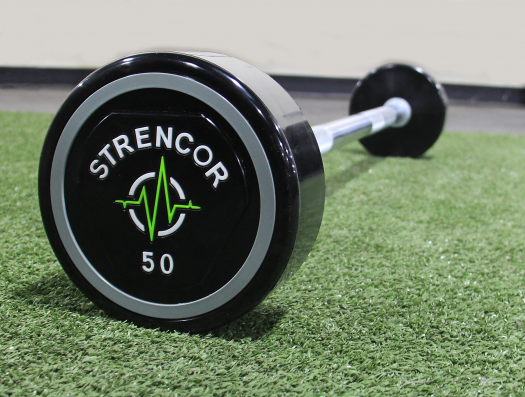 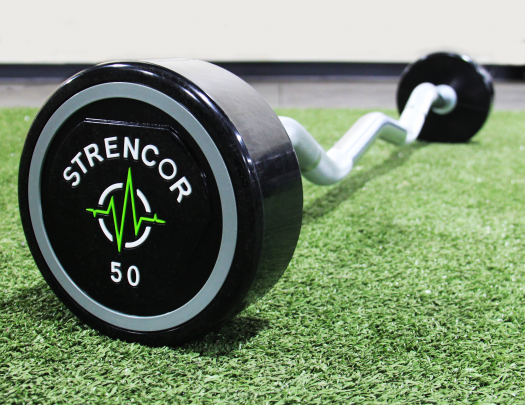 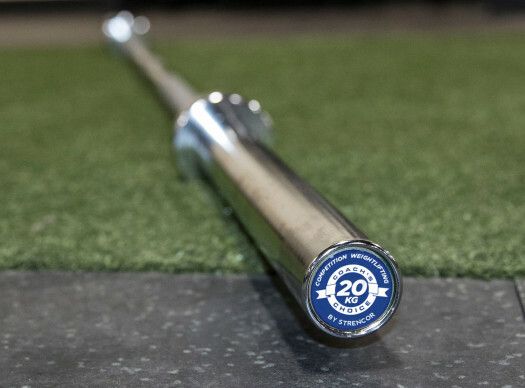 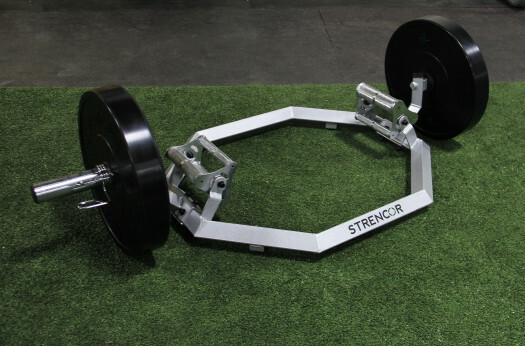 Holds up to 8 barbells.